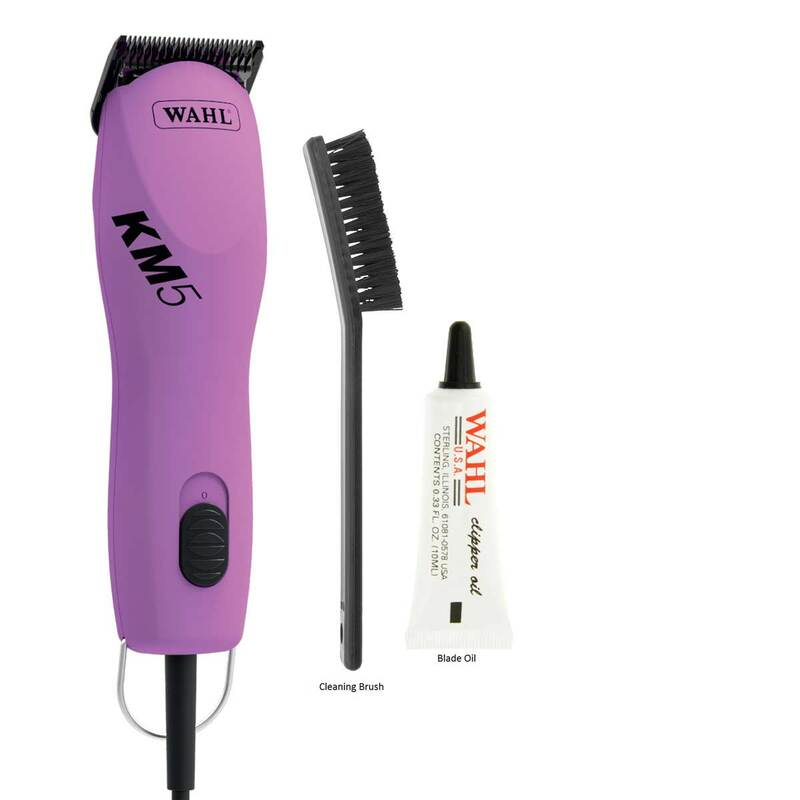 Wahl’s KM5 is a heavy duty 2-speed professional clipper ideal for students and beginners. Ergonomically designed to fit comfortably in your hand, the KM5 is lightweight (12.9 oz.) and balanced to prevent wrist fatigue. The KM5 runs quietly to keep noise-sensitive animals comfortable and calm.